Alila Anji is a peaceful oasis situated on a hillside overlooking a lake, surrounded by the beauty of lush bamboo groves and tea plantations. 92-136 m2 / 990-1,464 sq.ft. 136 m2 / 1,464 sq.ft. Stay two consecutive nights and enjoy 25% off our Best Available Rate. Rate includes breakfast, WiFi and more. Plan ahead 7 nights in advance to enjoy 20% savings on your stay. Rate includes breakfast, WiFi and more. 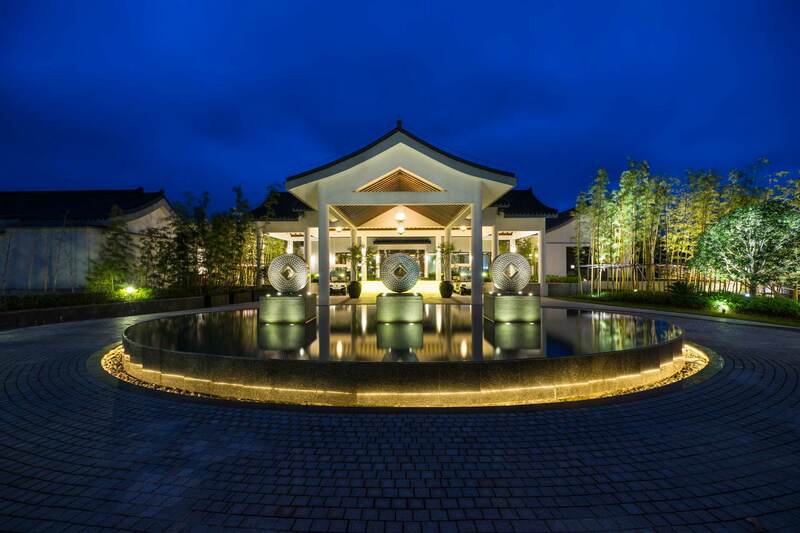 Enjoy the relaxing tranquility of the water with a stay at Alila Wuzhen amid the historical charm of Wuzhen Water Town, and Alila Anji overlooking beautiful Tianfu Lake. Book last minute to enjoy 15% savings on your stay. Rate includes breakfast, WiFi and more. Discover a paradise for kids and families at Alila Anji, where fun, creative activities and adventure outdoors offer everything you need to create fam-tastic memories together! With its clean air, mountainous landscape, dense bamboo forests and tea plantations, and ease of access from the major cities of Shanghai, Hangzhou and Suzhou, Anji offers a wonderful escape for city dwellers and nature-lovers. 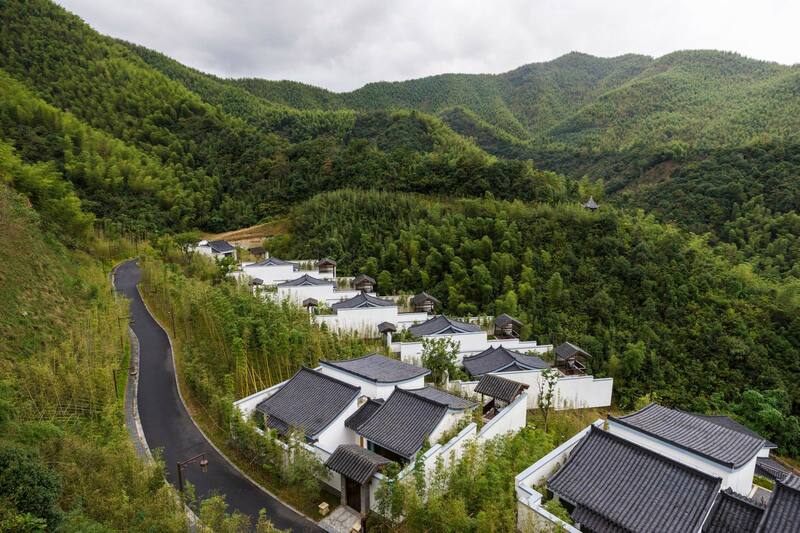 Designed in harmony with the area's outstanding natural beauty, Alila Anji blends the architecture of a traditional Chinese village with clean lines and contemporary comforts. Enjoy an energising session of tai chi guided by our professional tai chi instructor, surrounded by the misty mountain landscape. Accompanied by our Leisure Concierge, travel on foot to a nearby tea plantation where a local farmer will initiate you in the skill of tea plucking and you will learn the process of preparing and packing the tea for consumption. Overlooking a beautiful lake and a lush landscape of bamboo and tea plantations, Alila Anji offers an invigorating setting for business meetings and events. Our main restaurant satisfies all appetites with a bountiful selection of Asian and Western dishes. Come over to the Tea Bar at Alila Anji to enjoy a nice pot of tea. We will prepare a variety of teas for your choosing as well as delicious refreshments to complete this joyful indulgence. Satisfy your cravings without leaving your room. Celebrate a special occasion with a bespoke dining experience. Romance a loved one on an anniversary, deliver a birthday surprise with a gourmet picnic or a candlelit dinner at a venue of your choice. In the quiet sanctuary of Spa Alila, indulge in health, beauty and restorative TCM-inspired treatments amid rejuvenating views.